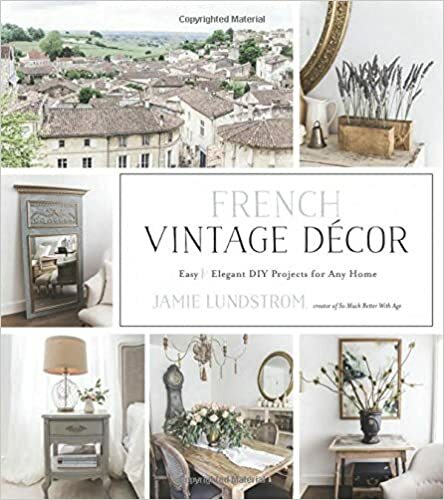 French Nordic Kitchen Decorating Ideas & Principles is for admirers of French country, Swedish, Scandinavian, European country, and farmhouse design ideas. 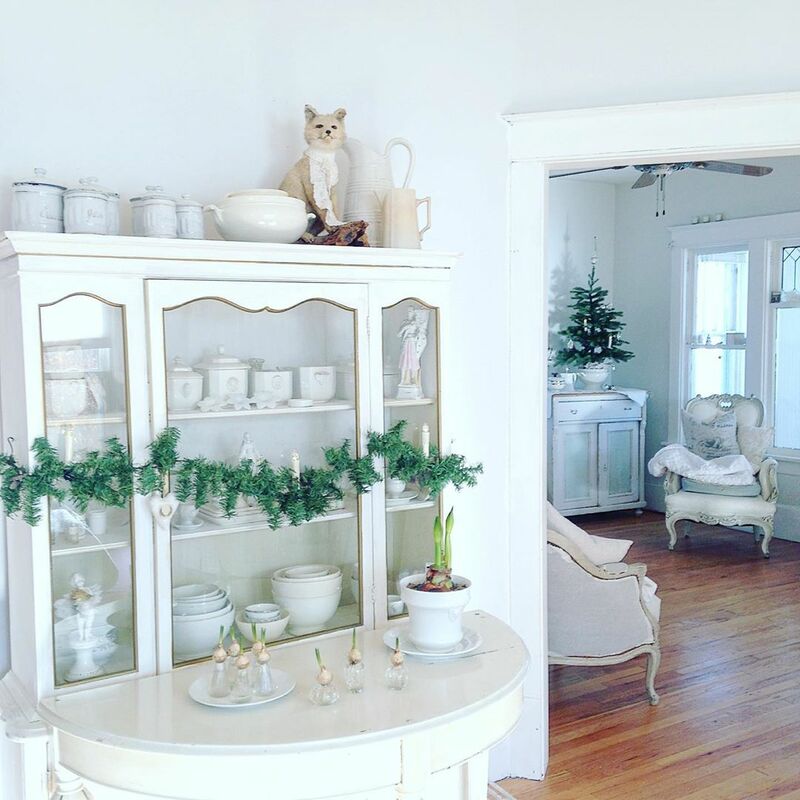 If you love an airy white, vintage inspired, authentic, collected, rustic, imperfect, wabi sabi, weathered and barefoot elegant look…get ready for your joy ride, kittycats! 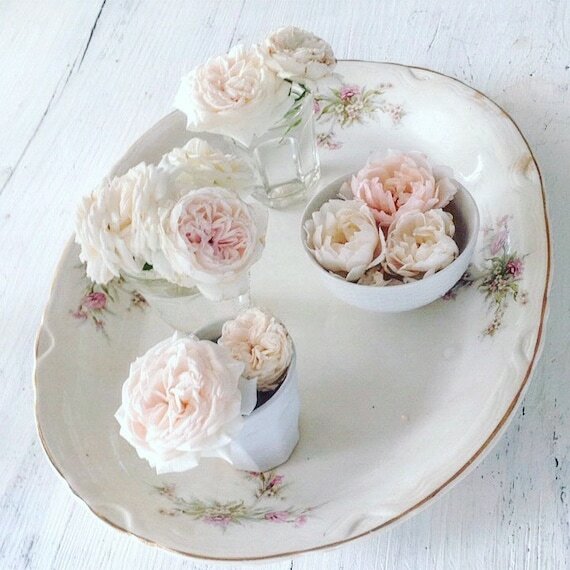 Antique Floral Platter – My Petite Maison on Etsy. 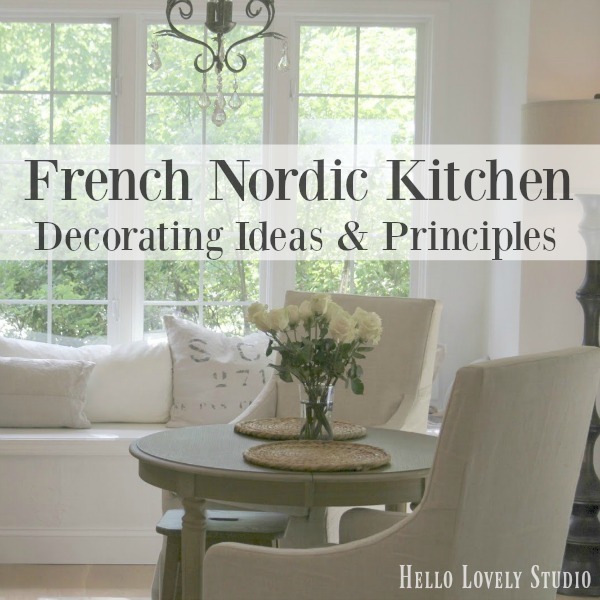 French Nordic Kitchen Decorating Ideas & Principles: Interior Design Inspiration & Resources. 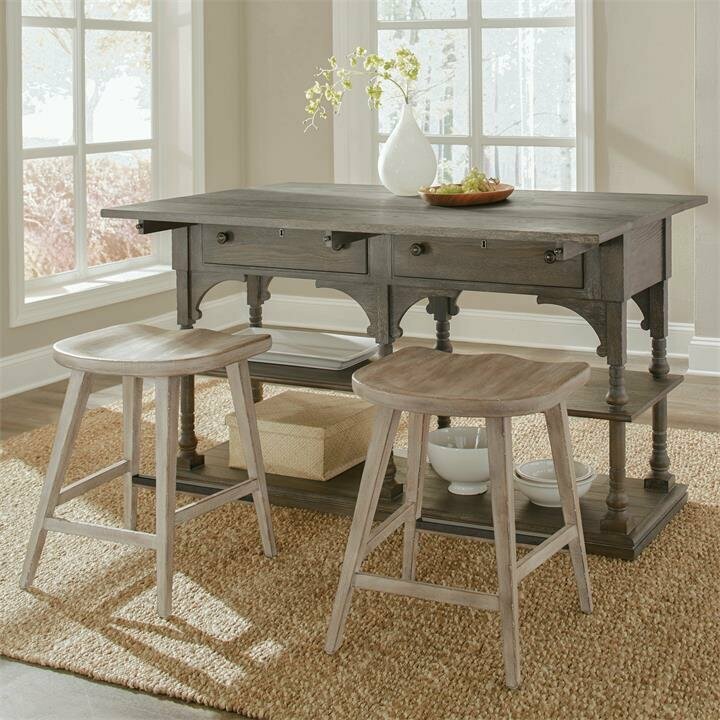 What is French Nordic design style and how can you bring this flavor of European country decor to your own space? Just how does one bring a French Nordic kitchen design to life with objects that are functional and beautiful? Surely authenticity plays a primary role in successfully achieving a pleasing look. But authentic doesn’t have to mean you must take out a second mortgage though! 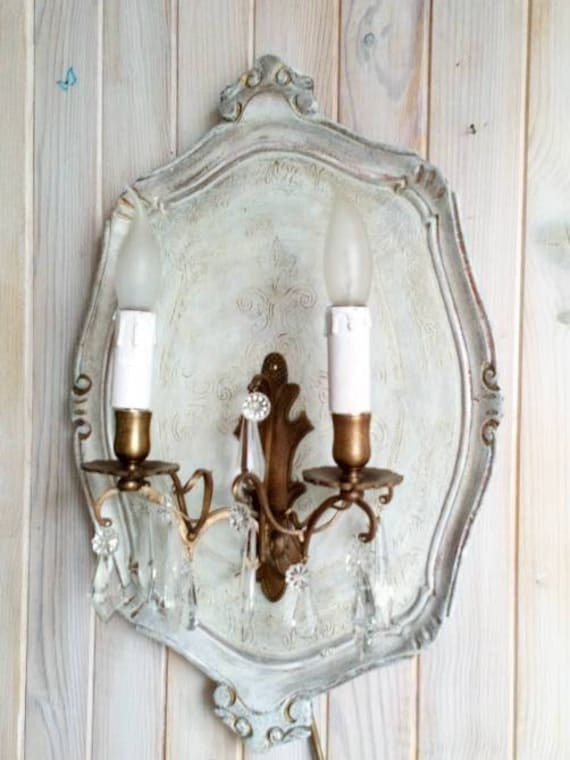 While the authenticity of French antiques and ancient European stoneware will do the trick nicely, you can also arrive at authenticity by incorporating elements from: nature, handmade items, handpainted finishes, and simple lovely elements celebrating Nordic French influence. 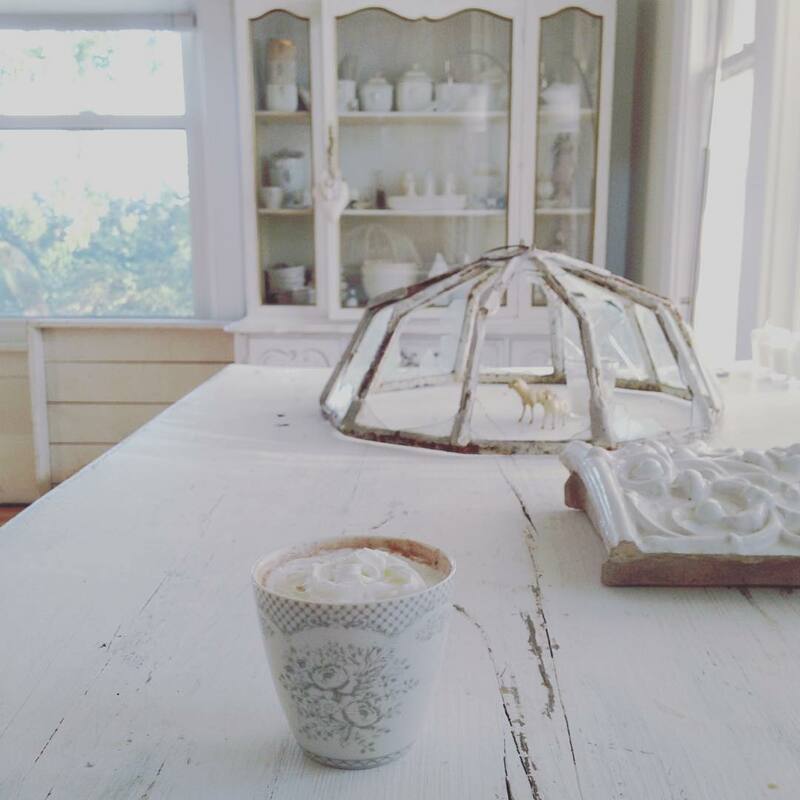 To create an airy, natural, and ethereal Nordic French mood, consider these decorating ideas I have collected from years of studying and living with the French Nordic country style. 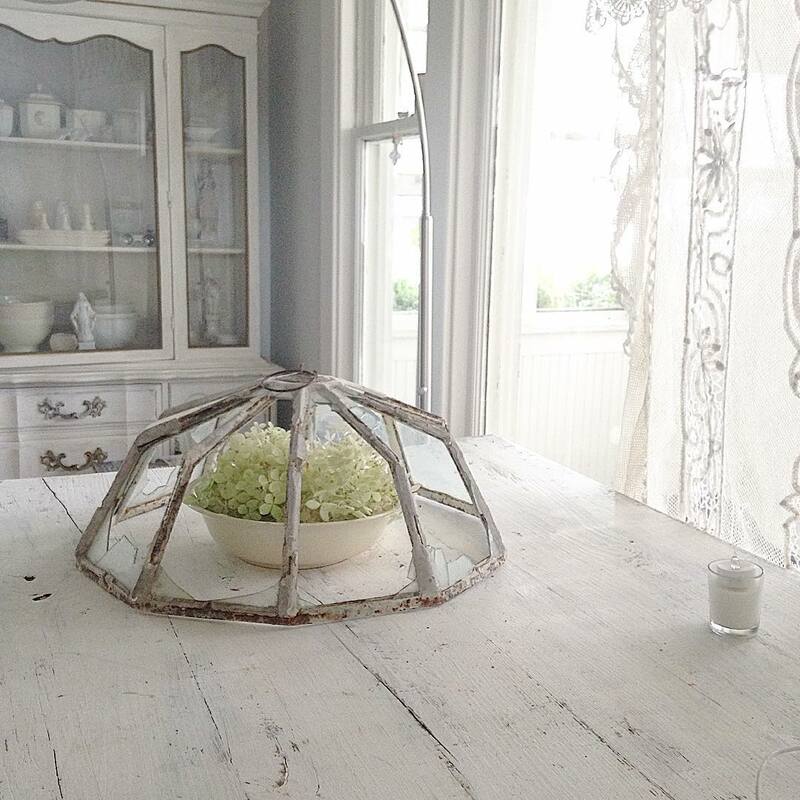 French Nordic Kitchen Decorating Ideas & Principles: Interior Design Inspiration & Resources. 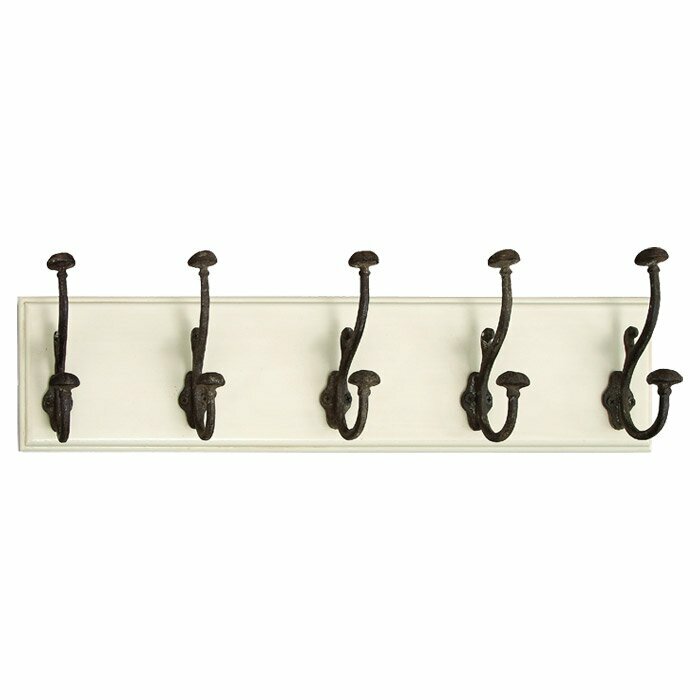 What is French Nordic design style and how can you bring this flavor of European country decor to your own space? Photo & Design: My Petite Maison. It is easy to see how Americans vary in their accessorizing and country decor from their European counterparts. The European country approach typically reveres function and purpose. 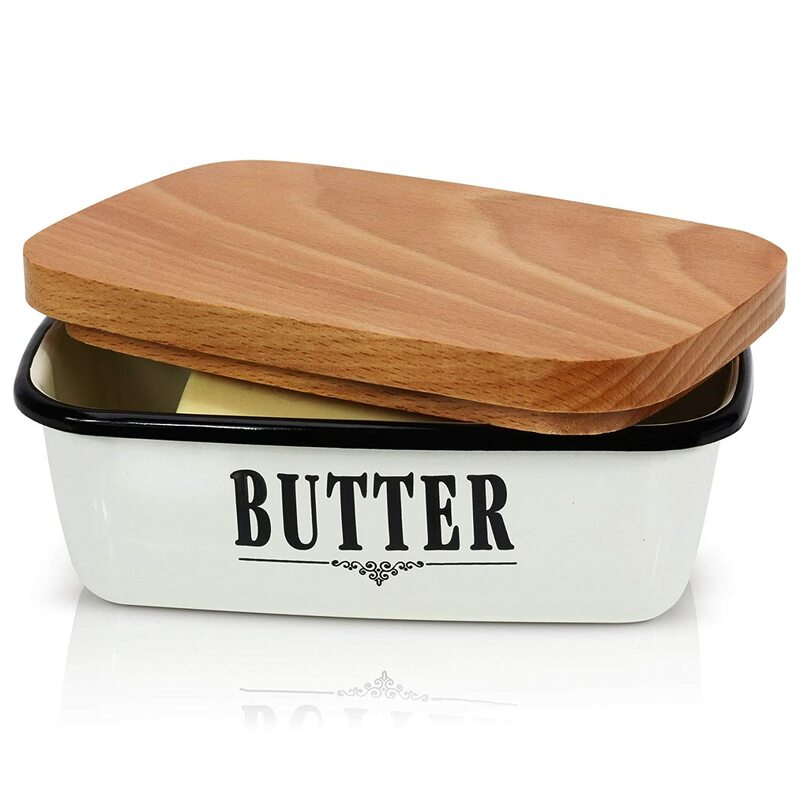 Will the kitchen decor accessory prove useful? Will the accessory be regularly pulled into service? 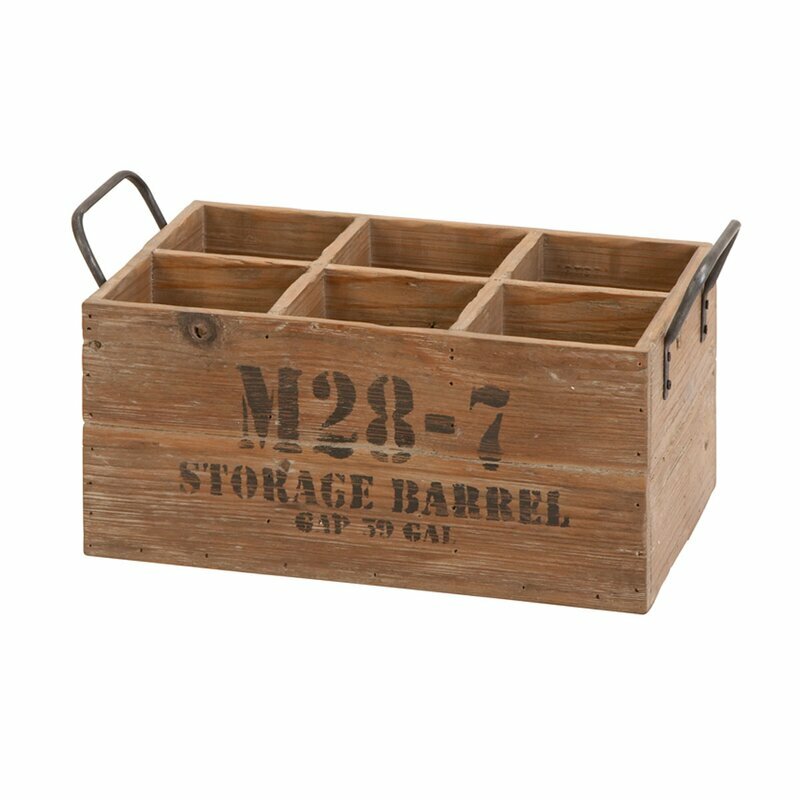 Is it able to store essentials? Is it timeless? 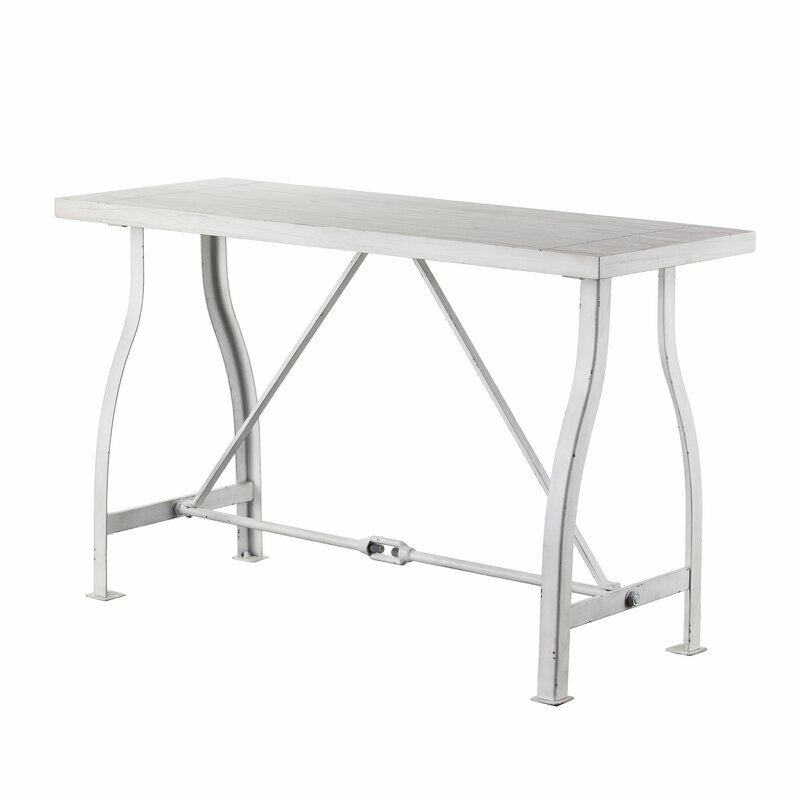 Is it high quality and multi-functional? 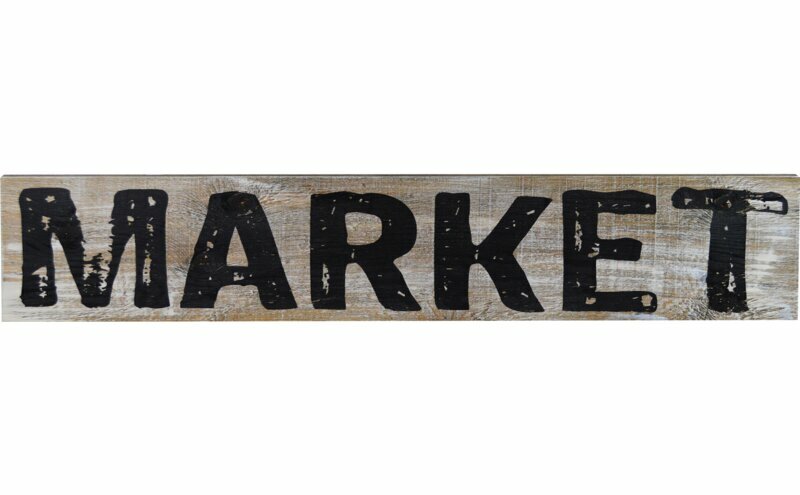 Rustic Market Textual Wood Sign. 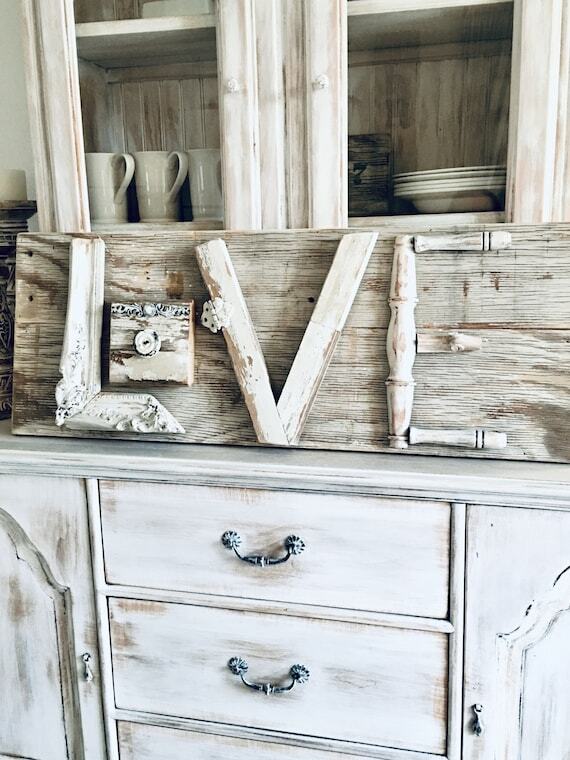 It does seem as though a great number of country kitchen decorators feel compelled to add interest to the decor by crowding shelves and surfaces with objects. It makes sense if the pottery or decorative urns are used daily, but if they are simply there for “interest,” than perhaps they should be re-thought to save hours of dusting! A potential issue with massing decor is the effect can result in a watered-down, mediocre look which lacks quality and character. Without a doubt, massed collections can make a lovely impact as a vignette in a room. Collections can certainly be arranged successfully to read as an engaging art installation does. But overwrought accessorizing can also be disastrous. 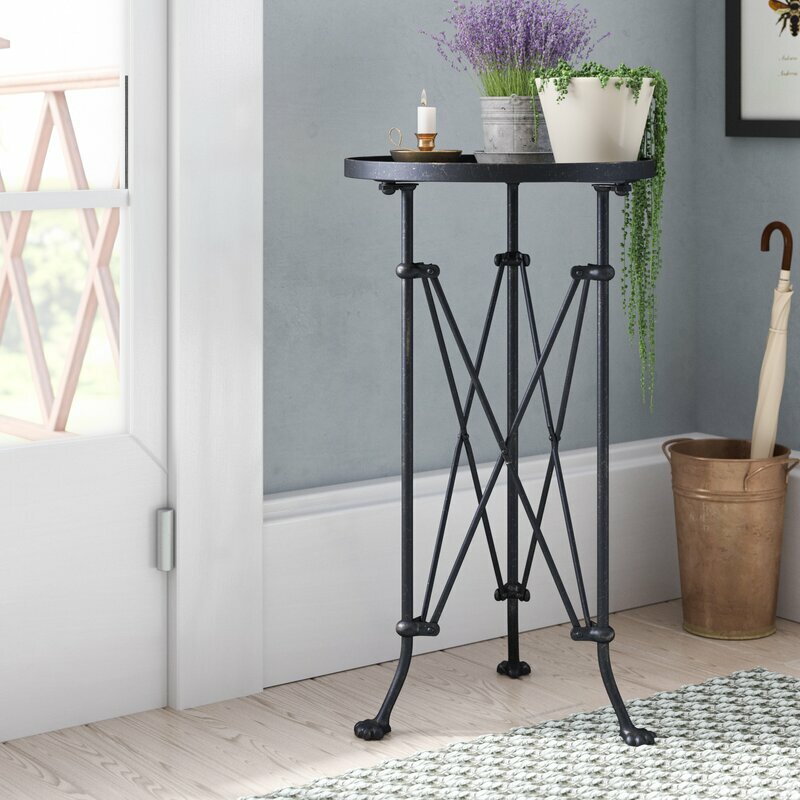 Over-styled vignettes can easily begin to look like a cluttered, dust-gathering antique mall booth rather than a place for the eye to pleasingly rest. 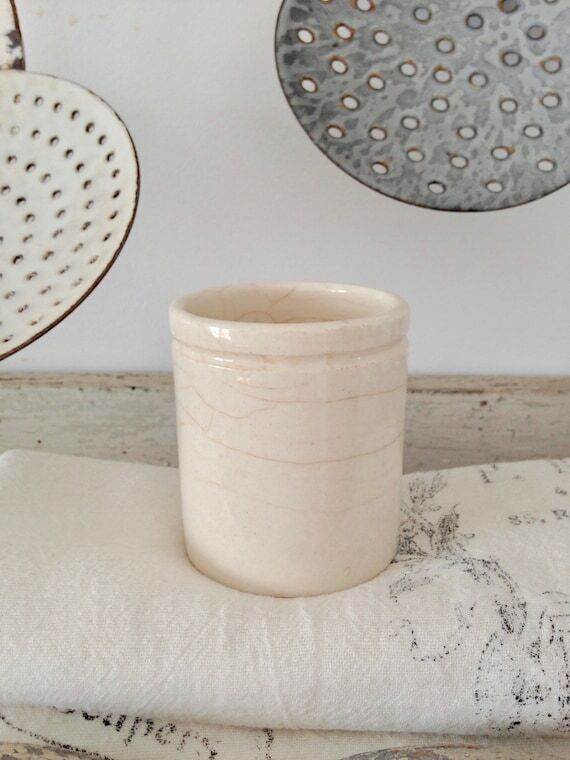 Ironstone Jam Pot – My Petite Maison on Etsy. 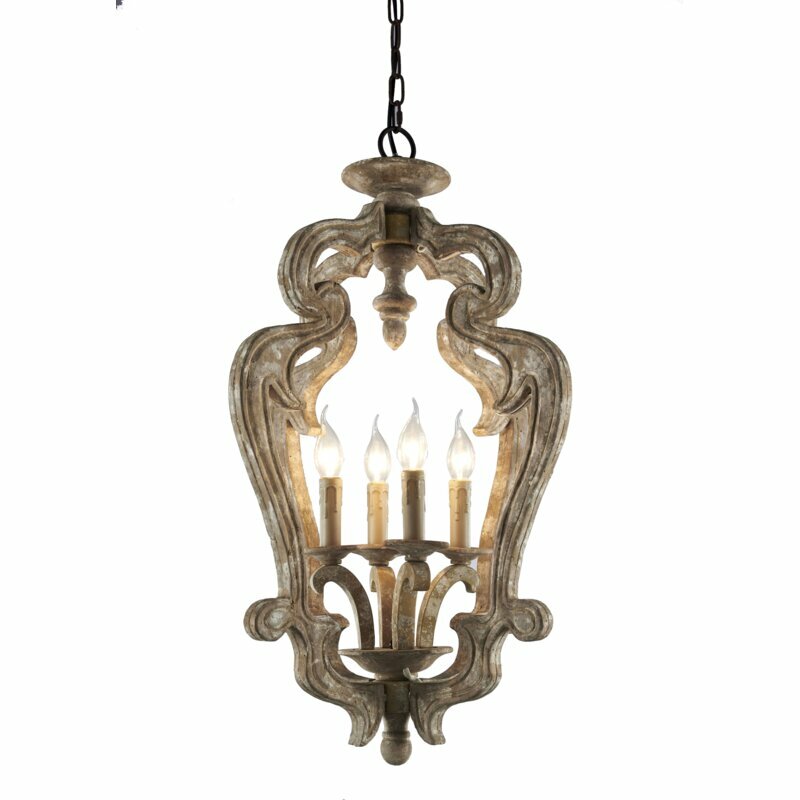 A Nordic French country approach is less concerned with creating eye candy as it is orchestrating an overall mood. A serene design should evoke a peaceful mood which nourishes the soul. The effect looks effortless and light rather than contrived or over-thought. 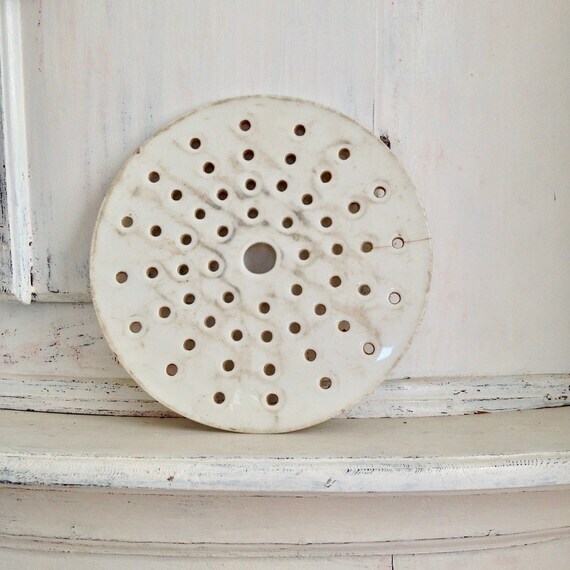 Antique French Ironstone Berry Drainer – My Petite Maison on Etsy. 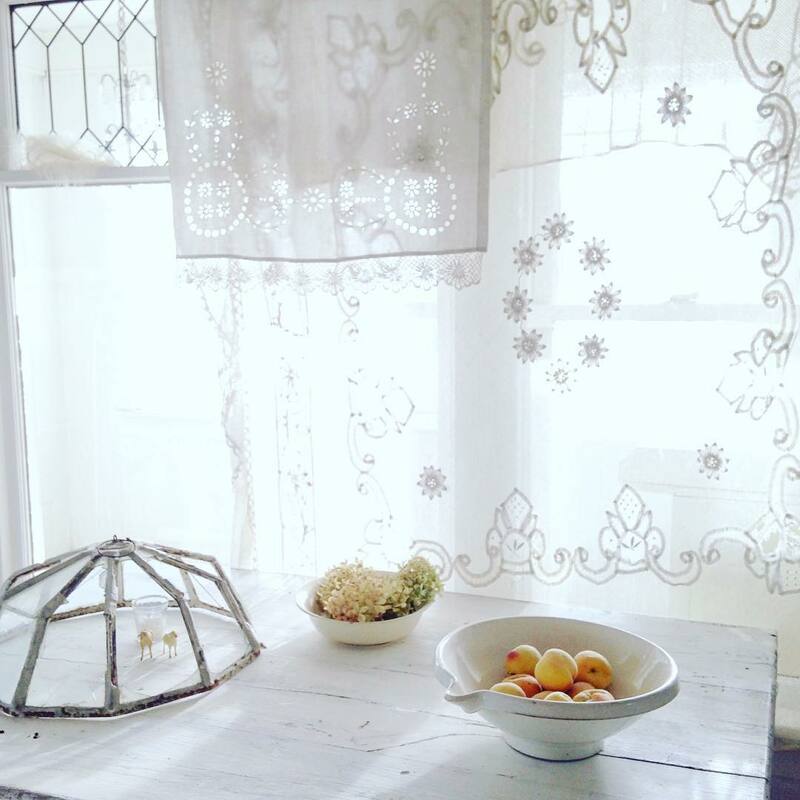 Are there secrets to achieving a timeless, Nordic French inspired decor look in your kitchen? First things first. If you get to googling, I’ll warn you right now you are going to land on way too many poorly written posts online which reduce a complex and multifaceted design style to a handful of steps or secrets. As a blogger, it is all too easy to see why such articles exist. The folks who are truly experts at the design style are creative types living the lifestyle and not those geeky types trying to translate the magic into words. 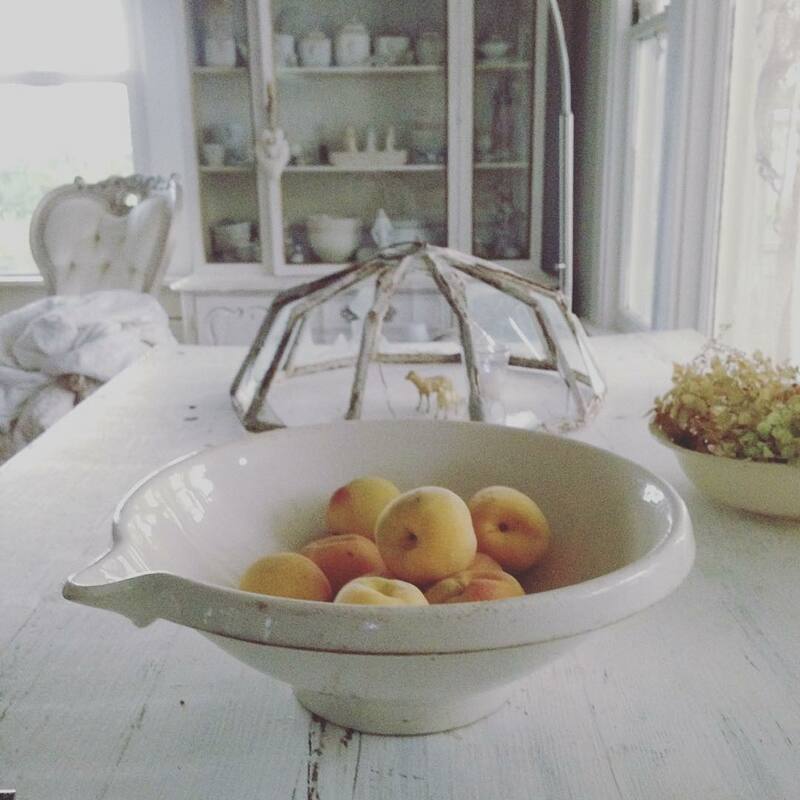 Antique French Faience Bowl – My Petite Maison on Etsy. 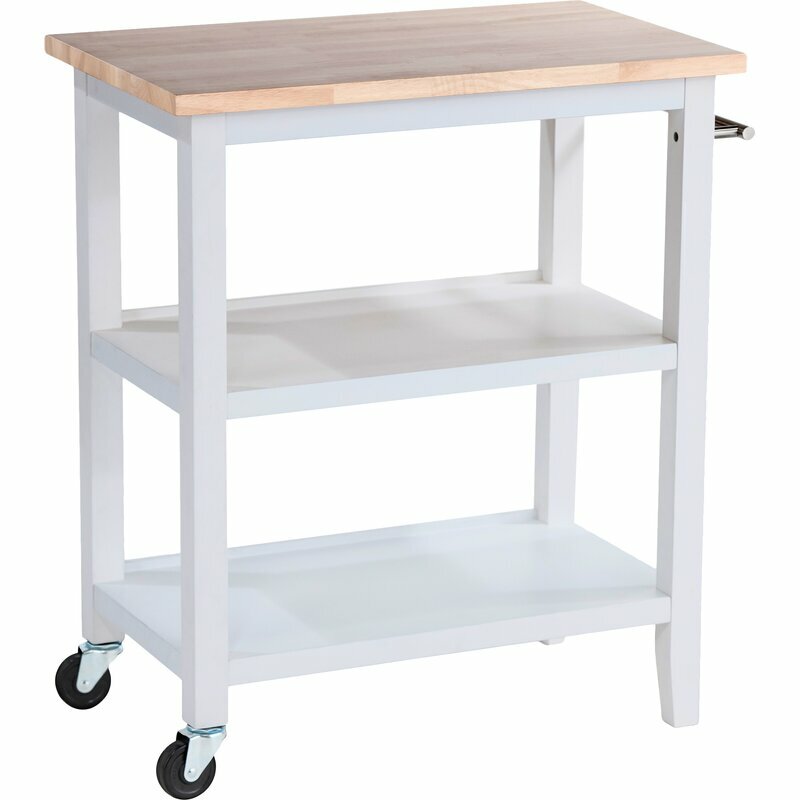 Rustic Wood Mobile Work Island With Butcher Block Top. 3. 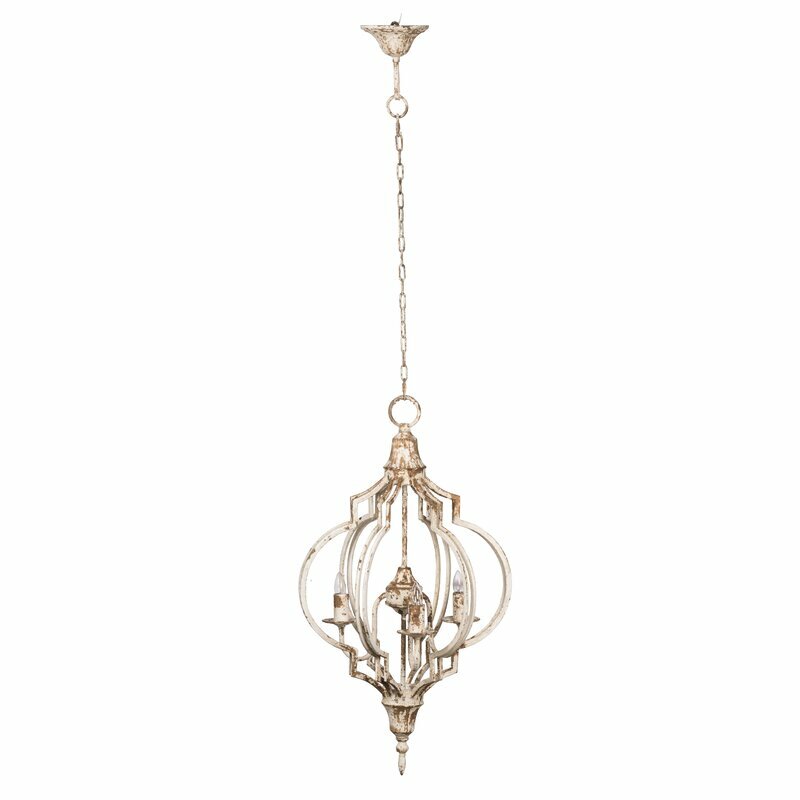 ADOPT A PEACEFUL PROCESS TO ARRIVE AT A PEACEFUL INTERIOR… Timeless style and layering takes time and may require help from a designer or shop owner. So much in American life involves hustling and bustling, and if it’s a peaceful, calm, Nordic French inspired look you’re after, it’s not the time to rush. 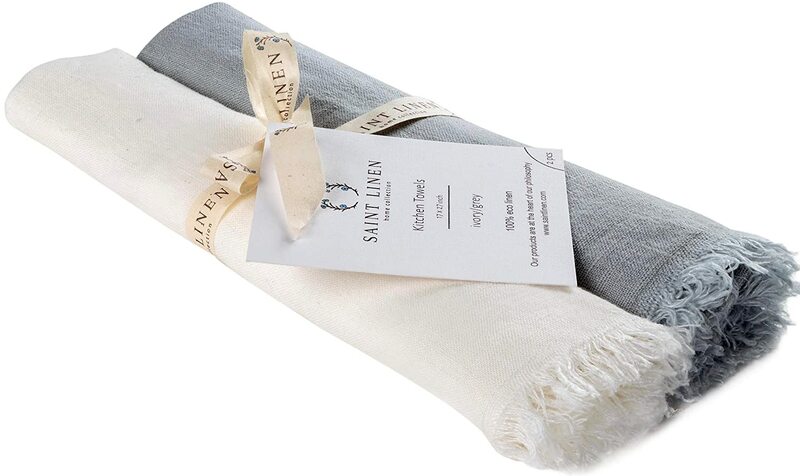 A French Nordic Country look is well established and has enduring appeal for good reason. 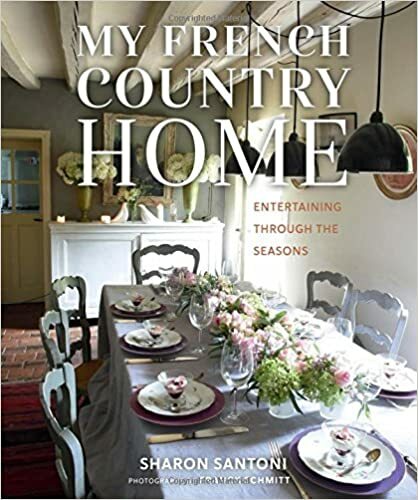 Its beauty and timelessness derive from its natural connection to the culture and character of France and Scandinavia. No wonder it is not so easily emulated, “scored,” or created outside of those regions. Most of us haven’t the patience, ma cherie! 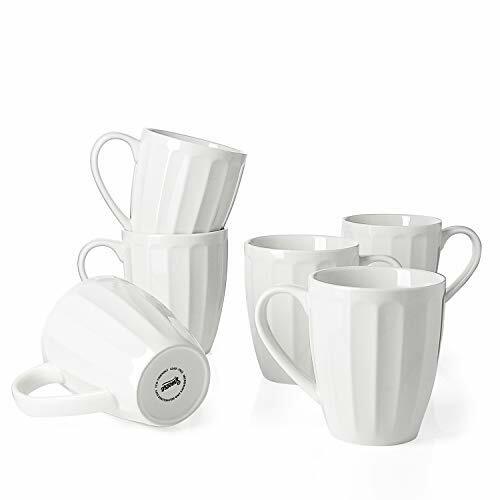 Set of 6 Fluted Mugs. 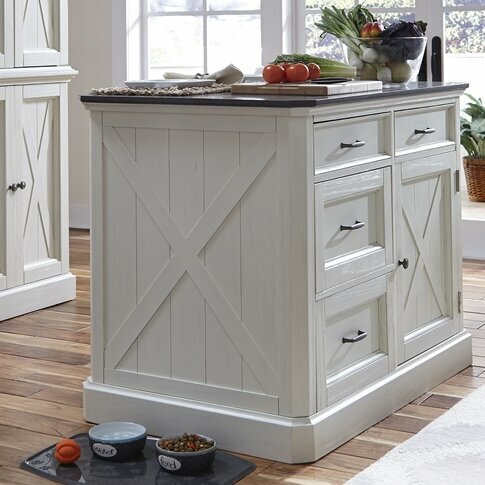 French, Swedish, and Scandinavian inspired country kitchen and farmhouse kitchen ideas. Kitchen design inspiration in case you are a fan of Nordic French living and white, ethereal, serene, airy spaces that feel romantic and light. Nordic French decor and lifestyle reflects an effortless, unhurried, and nostalgic body of cultural ideals and sensibilities. To understand the “why” of this approach, delve deeper into European culture and history to discern what it is that draws you to the aesthetic in the first place. Rather than redecorating every decade (or season if you glance at influencers on Instagram!) 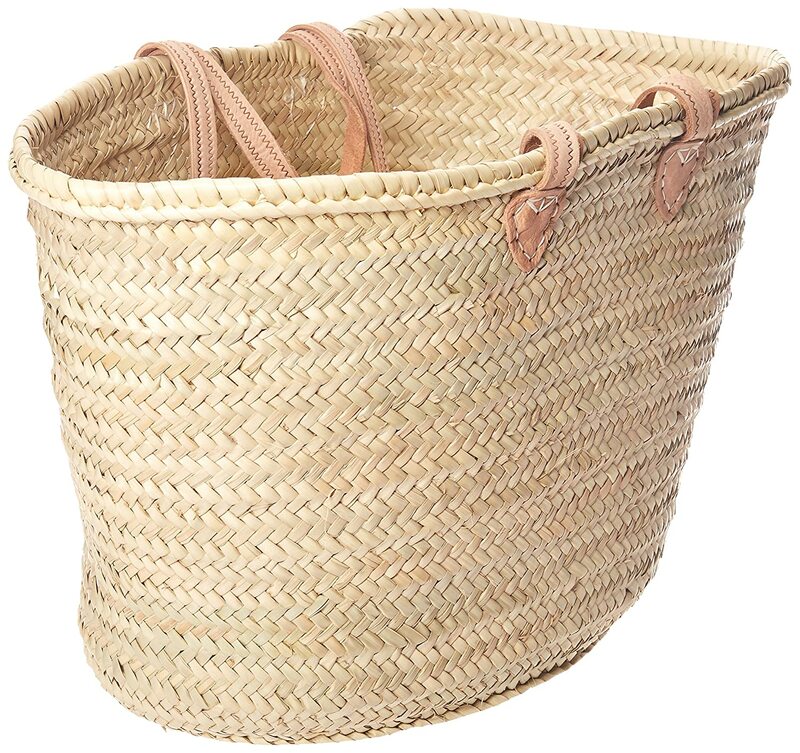 as Americans often do, traditionalists in the French or Nordic countryside favor a timeworn look. 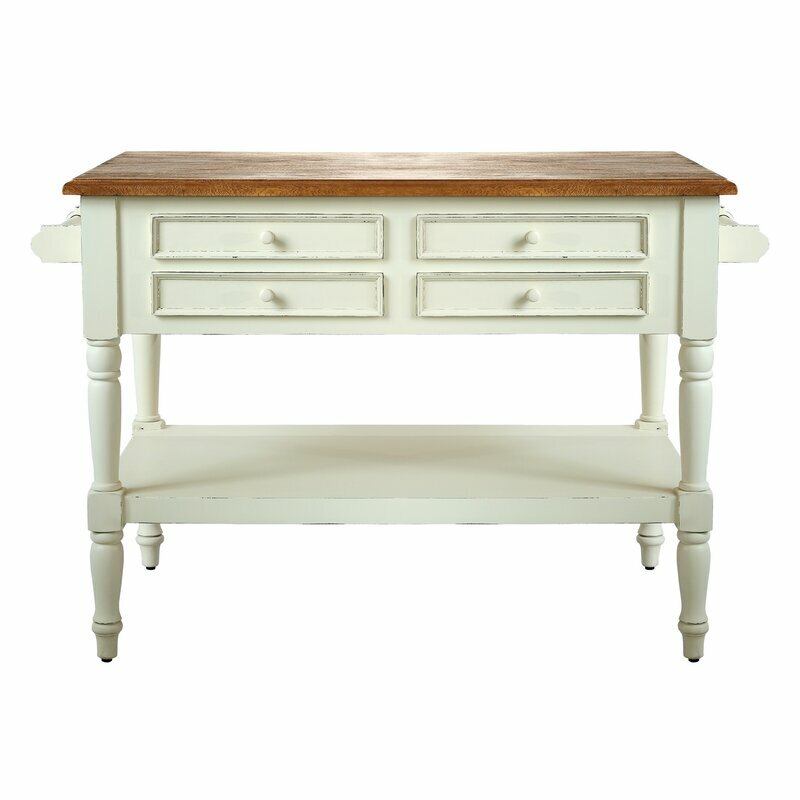 If it’s your desire to create a similar look at home, antiques and reclaimed authentic materials are your friend! High quality, rugged, longwearing pieces which increase in value over time can become heirlooms. 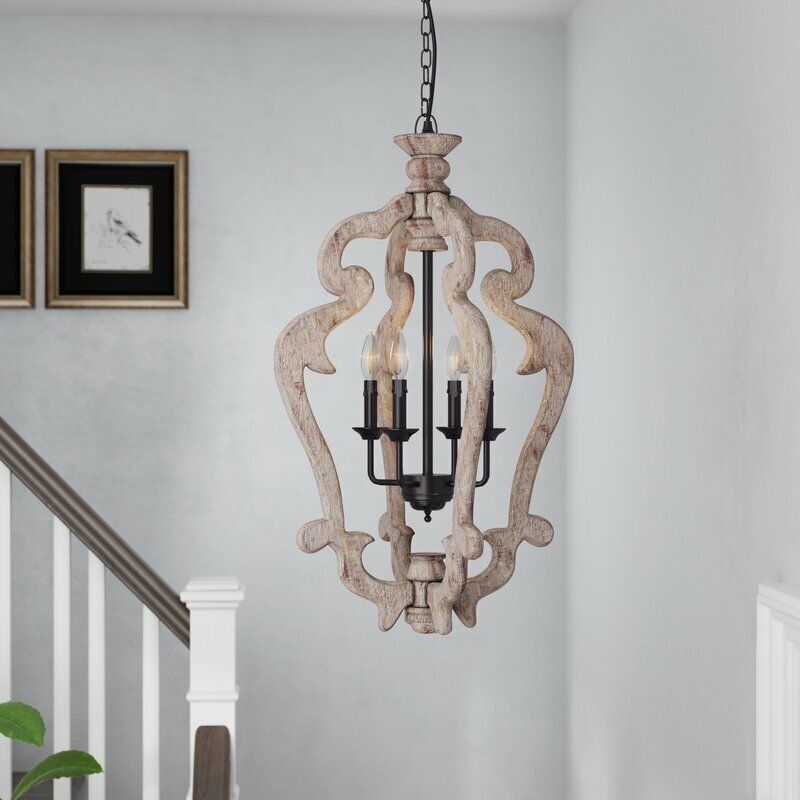 “Buy better and buy less” is in order when you’re after rustic elegance, sophisticated simplicity, and timeless design that feels as though it evolved over years. You cannot miss the refinement in traditional European country or French Nordic designed homes where a masterful mix of old and newo feel both soulful and interesting. 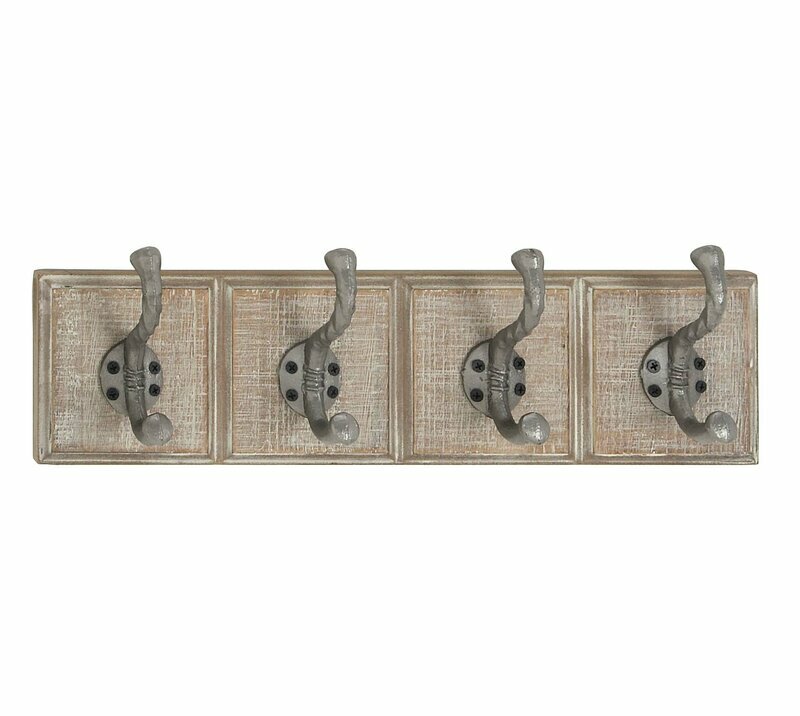 Vintage pottery shares space with a modern light fixture with clean lines over a weathered old farm table set with new linens. Slim steel windows contrast with snowy white painted chairs and cupboards. It’s not easy to score this mix when beginning with a newer kitchen where everything installed is sparkling new. 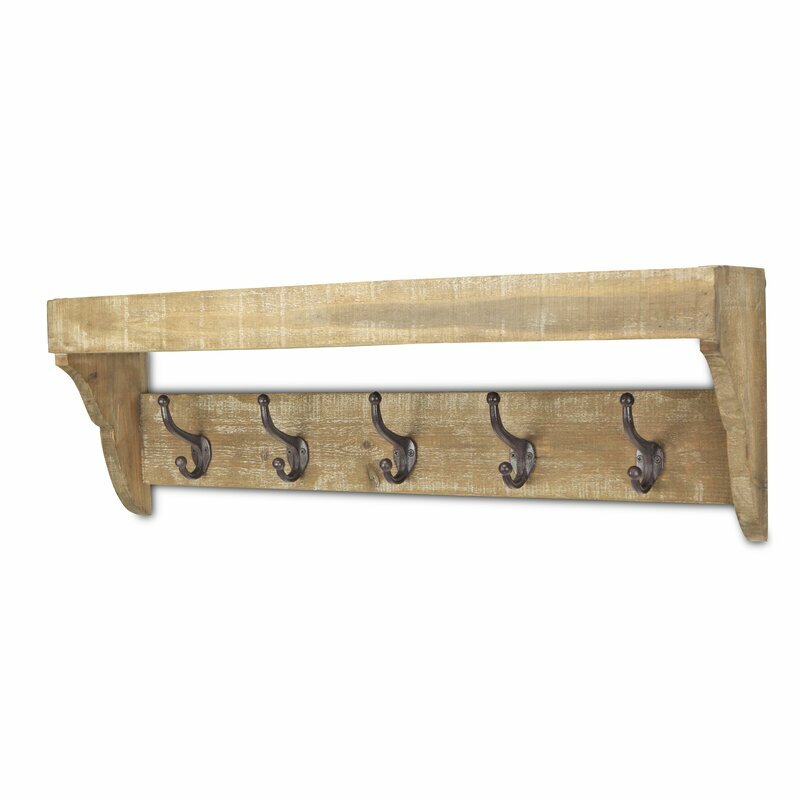 But you can still work at adding cozy, aged, authentic, and natural elements to heighten the character and add charm. An evolved Nordic French Country look demands restraint and patience. Let’s face it. In most cases, patina takes time (although we are getting better at faking it, yes?). Collecting takes time. And certainly inheriting treasures takes time. Hunting down the just right piece is easier now thanks to the internet, but choosing the proper mix of pieces to create a cohesive, timeless design STILL takes time. Rooms develop character over time as the owner progressively collects, upgrades, and thoughtfully edits. Sometimes, when I feel ready for a kitchen refresh, it helps to clear the decks. 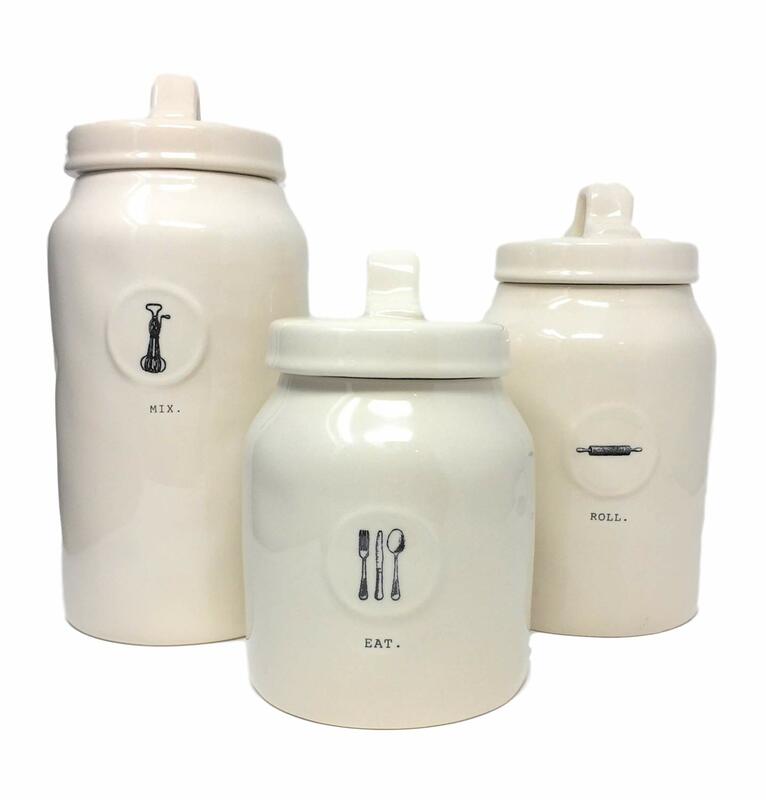 I can stand back and layer in my favorite items, storing away (or giving away!) what no longer serves. You can’t easily “see” where you are going without doing the subtraction first. Since most Nordic French and European country kitchens are smallish and cozy, traditional and timeless country style leans more toward practicality. Without spacious pantries, decor pieces must work in a variety of rooms. Out of necessity, they may be moved around to function in various spaces. 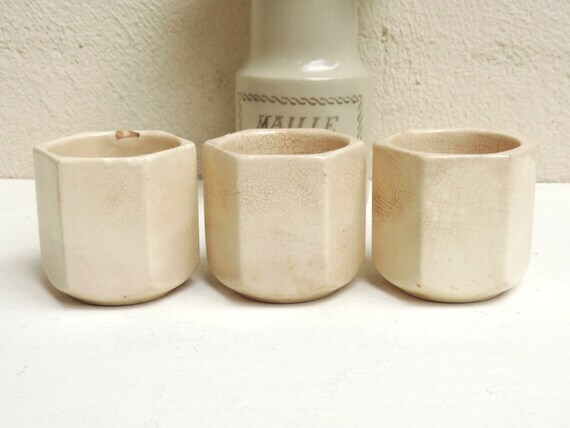 French Vintage Yogurt Pots – SouvenirsDeVoyages on Etsy. 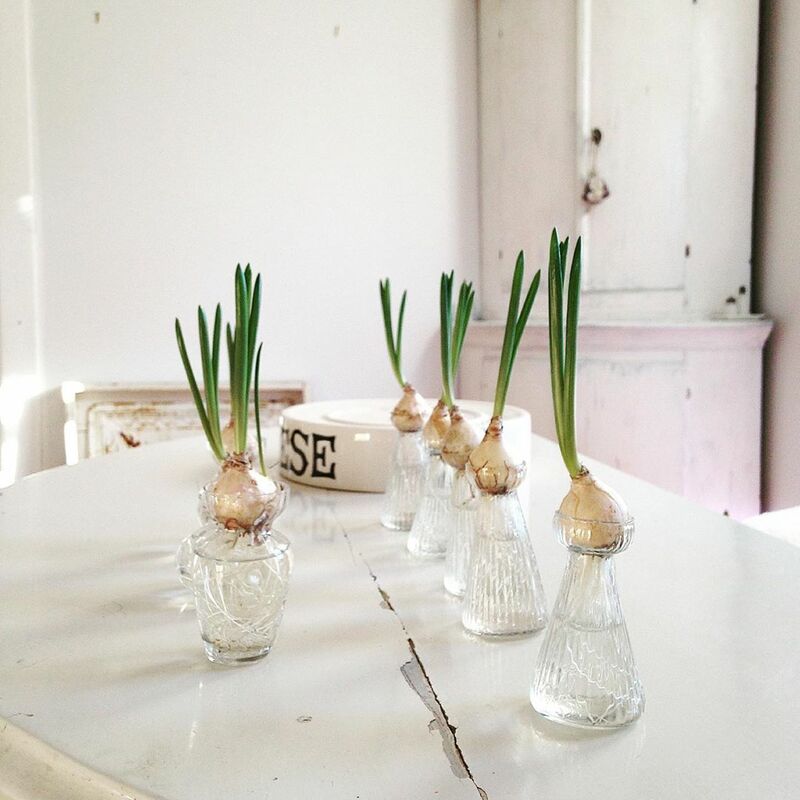 The French love their gardens and bringing fresh flowers inside to decorate the home, arranging blooms quite casually. Just like fresh ingredients for cooking and tasteful decor, fresh flowers have a way of elevating the “everyday.” Europeans are so inspiring in their approach to beautiful daily living, love of food, and regard for fine art. 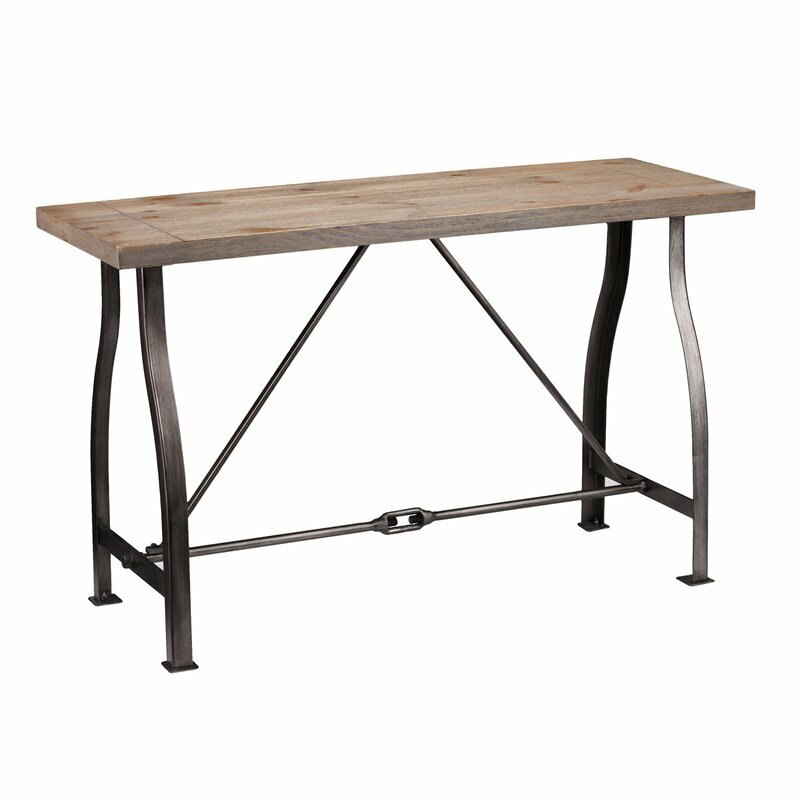 French Nordic style celebrates: age and tradition, scratches, rust, and signs of wear! Shiny new, stained, or lacquered finishes frequently fall flat when paired with antiques and vintage pieces which have patina-ed beautifully. Even aged rugs work better in such settings. 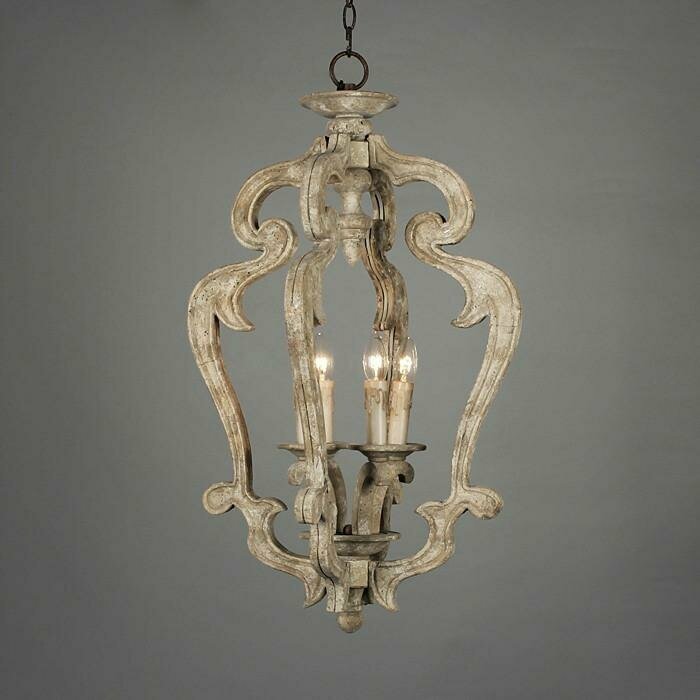 French country chandeliers can add a layer of feminine romance to French Nordic decor. White fairy lights can even be effective when done right. 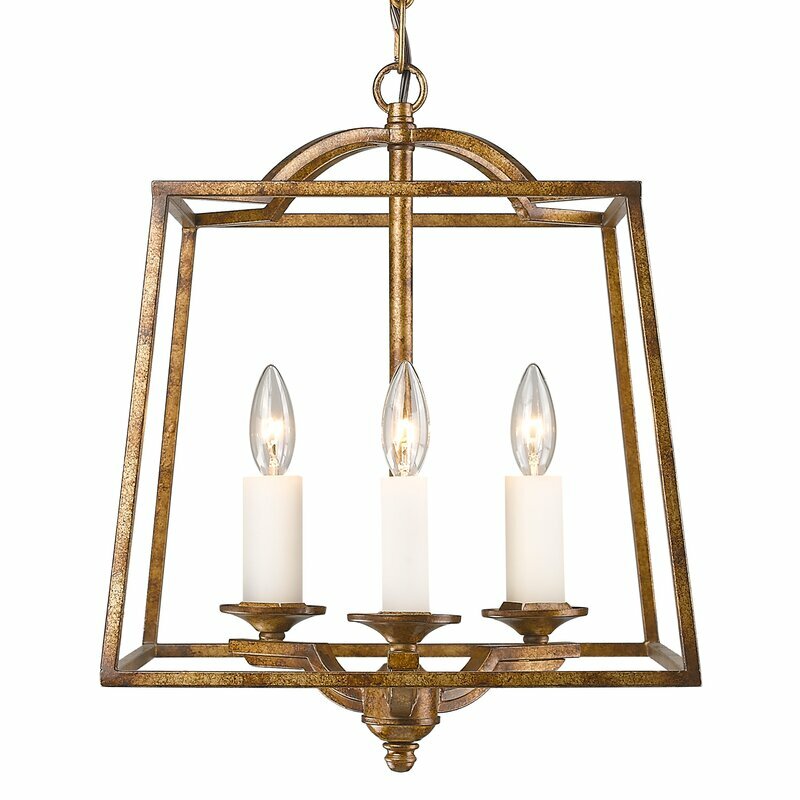 The finishes of light fixtures tends to be weathered wood or aged metals so antiques always look more beautiful than new examples. 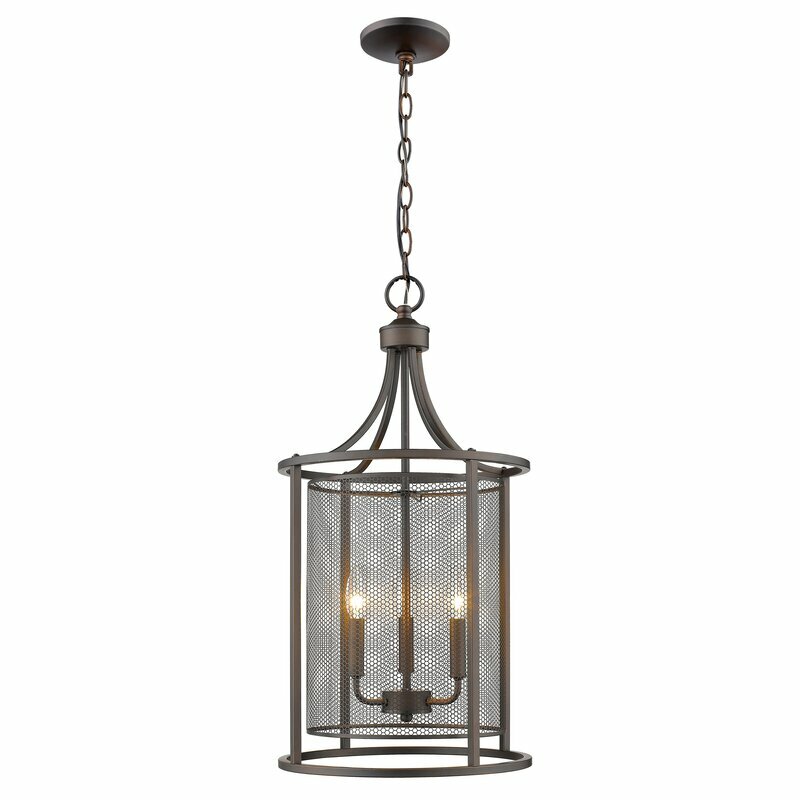 The sparkle of crystal from a chandelier can juxtapose beautifully with more rustic and rugged furniture. 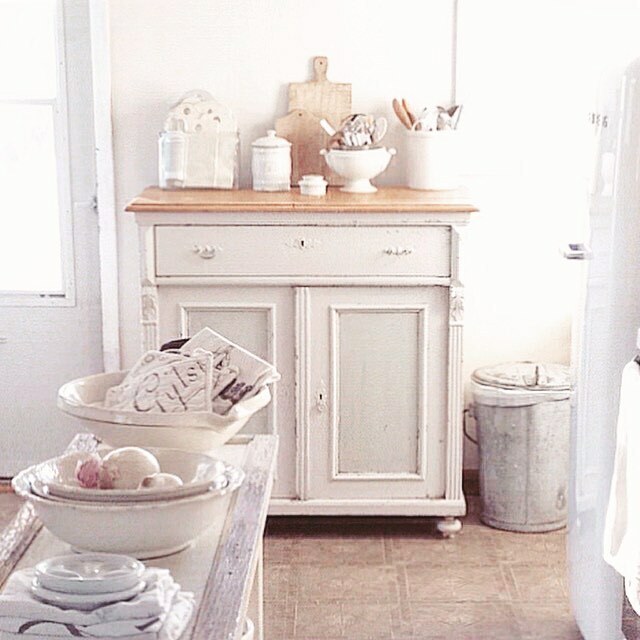 I love the pale palette often employed in Nordic French and European country kitchens. Bright whites, faded creams, putty greys, and quiet blues tell a story about: limited natural light, the countryside, understated beauty, and tranquility. What does it mean to style effortlessly or with a light hand? 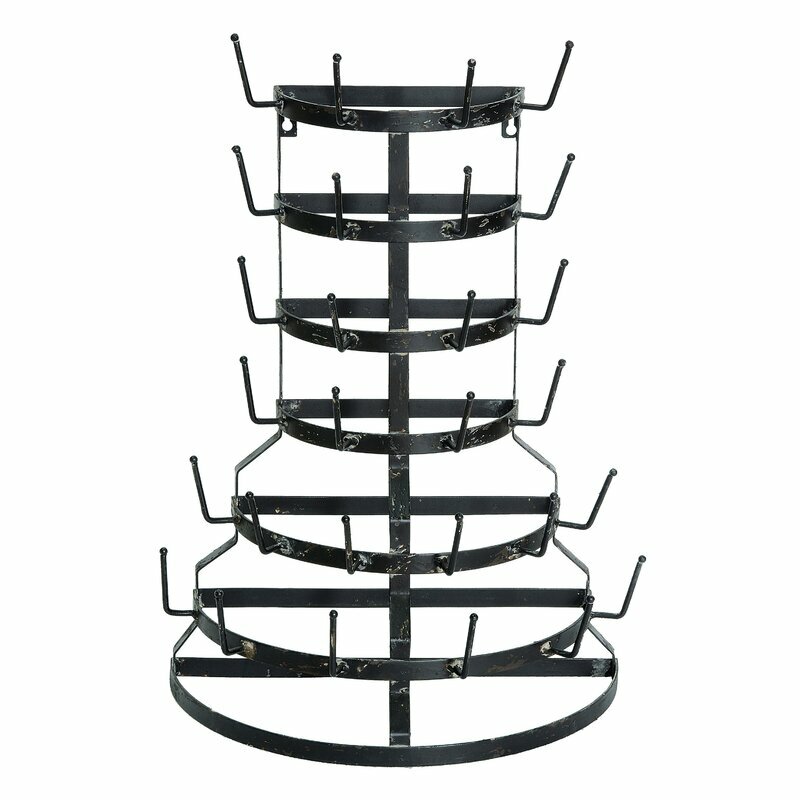 I have already discussed over-cluttering shelves with filler, but there is certainly more to it. 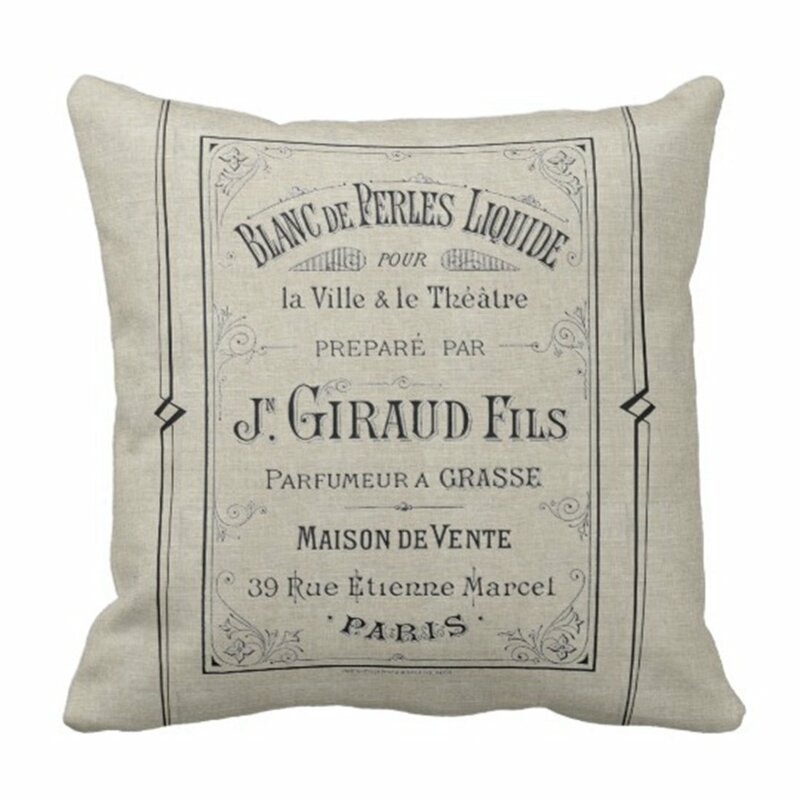 Nordic French Country style celebrates wrinkles in fabrics, flaws in objects of all varieties, and imperfections related to furniture and finishes. A country house lends itself to more casual living than a house in the city where more formal living occurs. 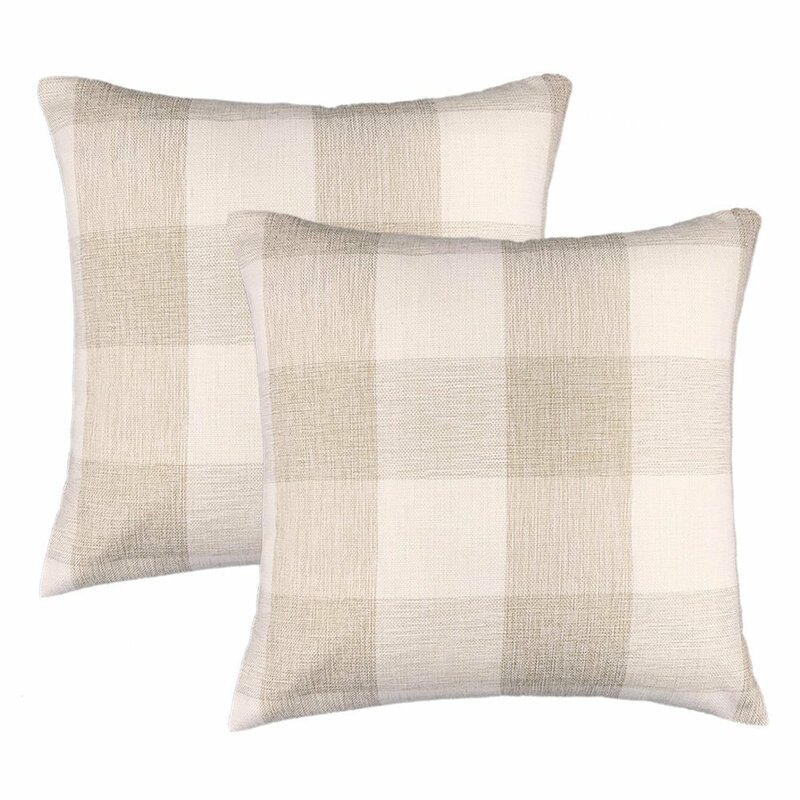 Yes, Pillows Can Sometimes Belong in the Kitchen! I have a bunch in mine! 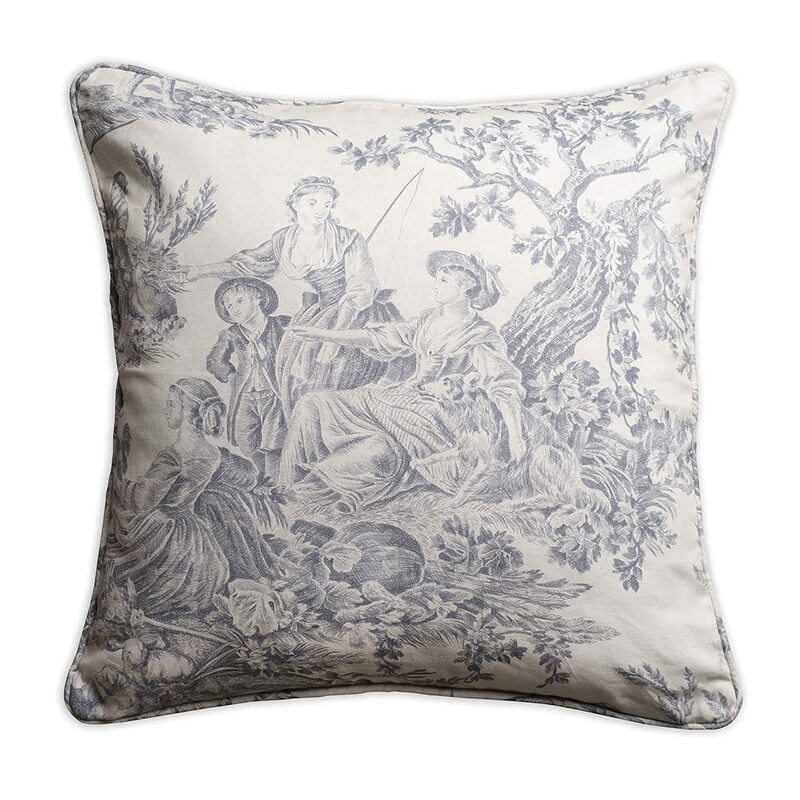 20 x 20 Maison d’Hermine Toile Pillow Cover in Paloma Gray. Doubles as a wonderful farmhouse Christmas tree decoration! It Only Looks Old and Expensive! 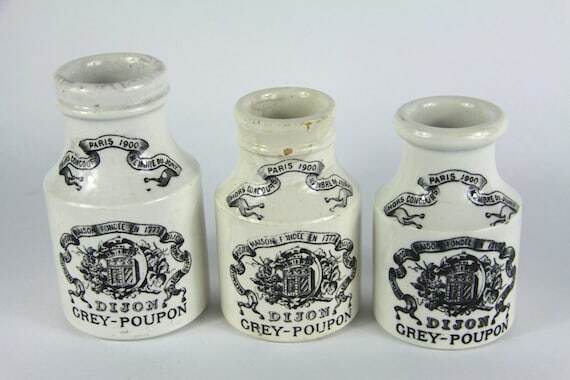 Antique French Mustard Pots – maintenant on Etsy. White kitchen design elements, French antiques, ironstone, weathered finishes, spare decor, and wabi sabi imperfection round out a lovely Nordic French kitchen. 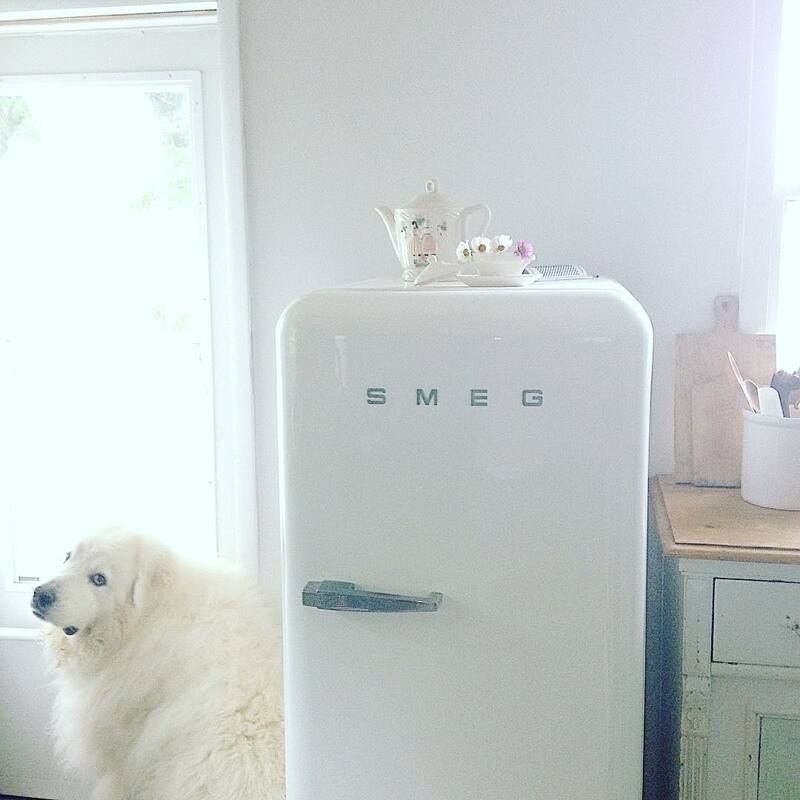 Hot to get the Scandinavian French design look in your own kitchen…lots of hints right here! 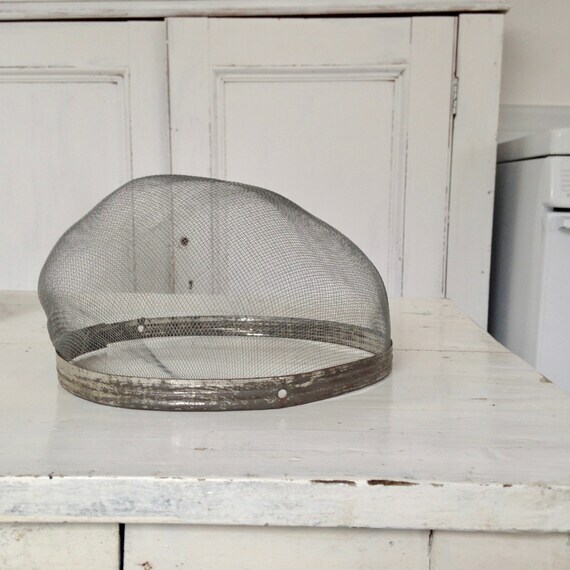 I Adore How Tracie of My Petite Maison Uses Old Food Covers in Her Lovely Kitchen! She has a special one for sale in her shop! Simplicity, Clean Lines, and Purpose! 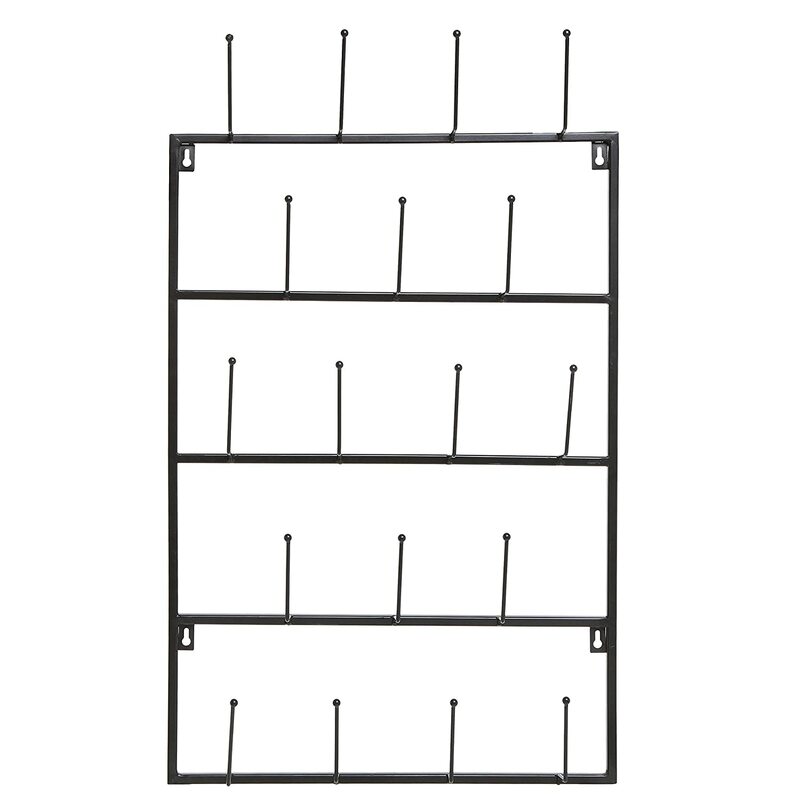 Wall Mounted Metal Rack for Mugs. 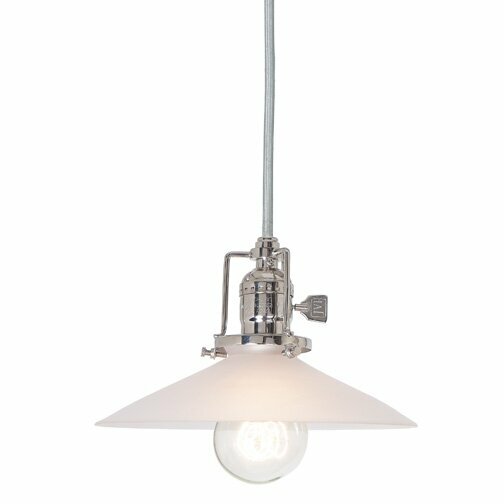 French Nordic Light & Airy Lovely! 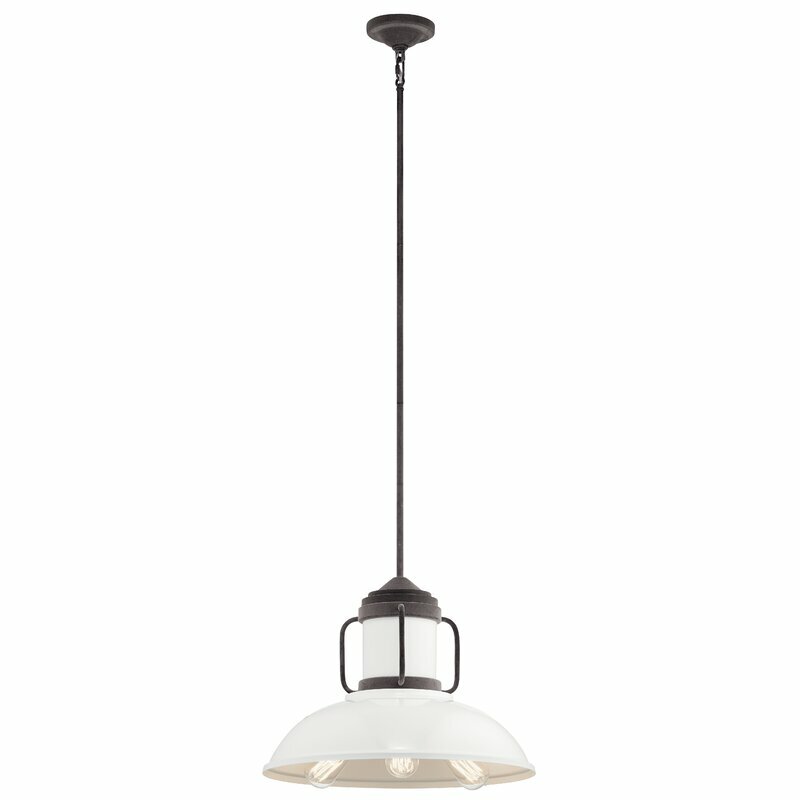 Shumway 1-Light Glass Mini Pendant. Does “Swedish Farmhouse” Tickle Your Ears Like it Does Mine? Light fixtures, work tables, kitchen decor accessories, antiques, pottery, linens, and the unexpected in this collection of French Nordic kitchen design goodness! 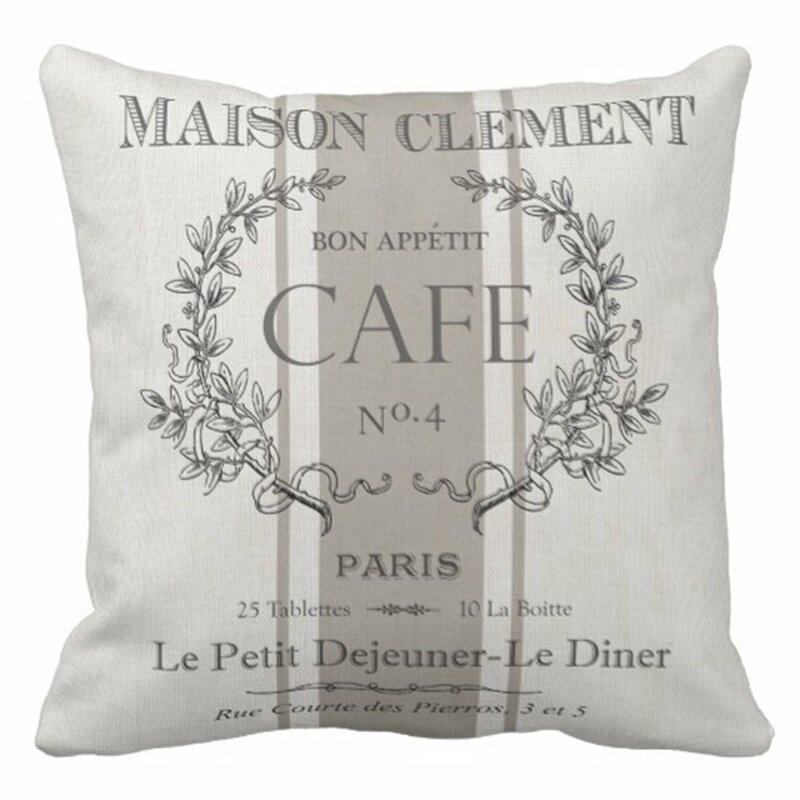 Vintage Style French Cafe Pillow Cover (20 x 20). Thanks for exploring this style of design so close to my heart. 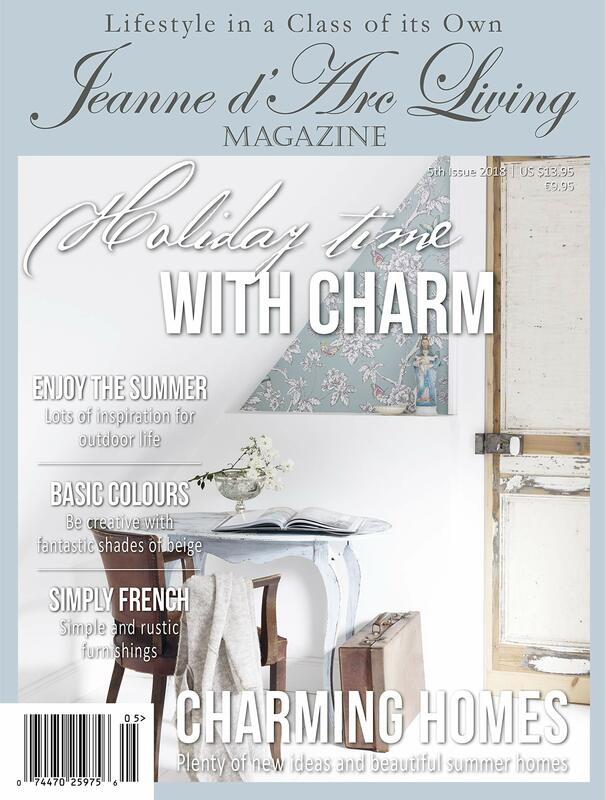 Visit THIS COLLECTION of Nordic French style posts to enjoy more Nordic French inspiration! 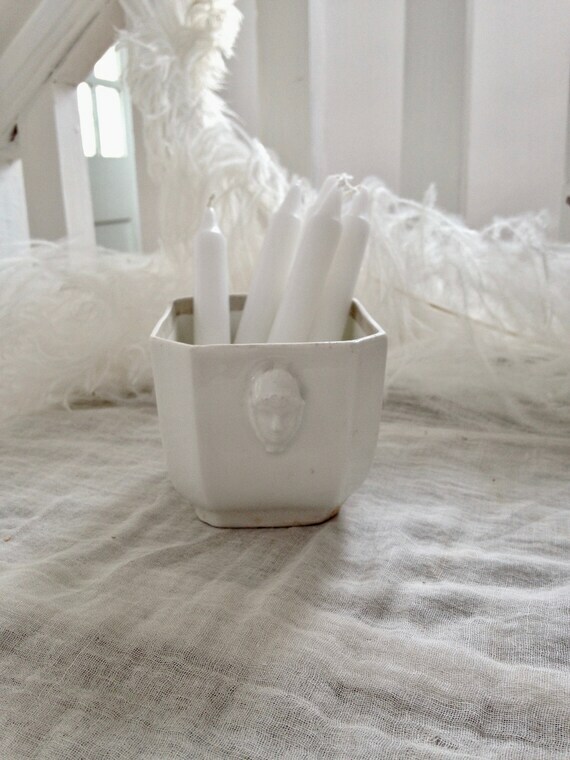 Have just read this post TWICE as it is full of such helpful decorating principles that I desire to incorporate, over time & with patience, in the house we are building now…purposeful curation and function, timelessness over trends, masterful mix, evolved elegance, multi-purpose, organic, weathered patina, light & airy. Thanks for sharing your knowledge…I always enjoy reading!